Consider rolling over into an IRA after retirement. With an IRA, you’ll have the same tax treatment as leaving your money in the 401(k), but with more flexibility. Specifically, in an IRA you aren’t stuck to a specific participating plan and can invest in any stock, bond, or mutual fund you want. Even if you like where you are in your 401 (k) as far as your investment options, you may be able to find the same set up with potentially lower fees through an IRA. Prior to making a rollover decision please consider all applicable fees and investment options for each account. Keep an eye on your fees. 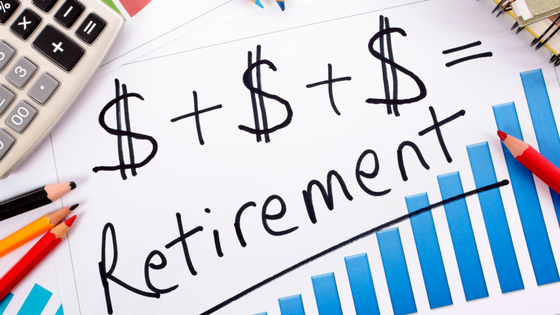 Here’s a 401 (k) fact from the Financial Industry Regulatory Authority: A one percent increase in your 401 (k) plan’s fees and charges could reduce your retirement earnings by 29 percent. Where this is an eye-opener, the problem lies in that it is hard to calculate what the fees are costing you because you aren’t paying them directly. They get subtracted before your return is reported. You’ll find this information on your statement which lists the amount of money you had to pay for in various services and investment expenses. You can access more information about 401(k) fees and charges from the US Department of Labor’s online publication, A Look at 401(k) Plan Fees for Employees. Keep a balanced portfolio A balanced portfolio strives to weather the market’s volatility, and that comes in the form of asset allocation. Sometimes stocks really outperform bonds and vice versa. Having a mix of both offers a diversified revenue stream, along with short-to-long-term investment approaches depending on risk tolerance will all help work towards a more balanced and beneficial portfolio. Managing your 401 (k). FINRA. Financial Industry Regulatory Authority.